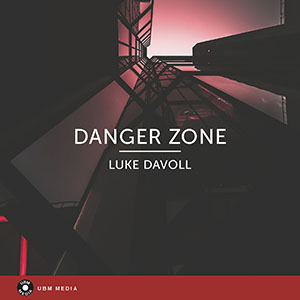 Dark and deep, orchestral composition, for suspense filled, foreboding scenes. A driving, running, well paced rising tension, with a building, lightly positive feel to it. A building excitement, mid tempo composition, Mission impossible comes to mind with this track. Simple, building, atmospheric excitement. A sense of reaching freedom with slight ethnic elements. A slightly threatening, building, bombastic orchestral track. Mysterious, dark and enigmatic cinematic score. Building excitment and suspense. Subtle dark mystery, slowly building in excitement. Slowly ponderous, then building into a deep cinematic thoughtful effusiveness. A throbbing sense of tension. The clock is ticking to the deadline. Enigmatic, well paced cinematic suspense. Mid tempo. Lightly uplifting orchestral composition. With a light positive strong feeling. Starting with a slow sinister simpleness, it soon builds into a well paced bombastic excitement. A ponderous, plucked begining that builds to a bombastc cinematic, almost regal composition. Simple piano, halloween type intro, builds to a well paced exciting cinematic experience. Orchestral light tension and excitement with a great percussive underlay. Subtle and sombre, with an enigmatic lightly emotional atmosphere. An eery, pulsating excitement, that builds with cinematic throbbing tension. Slow atmospheric start that builds to a cinematic, positive feeling, uplifting finale.